Something there is about humans that causes us not to want to be indebted to anyone. It’s perhaps why some are so anti-military. 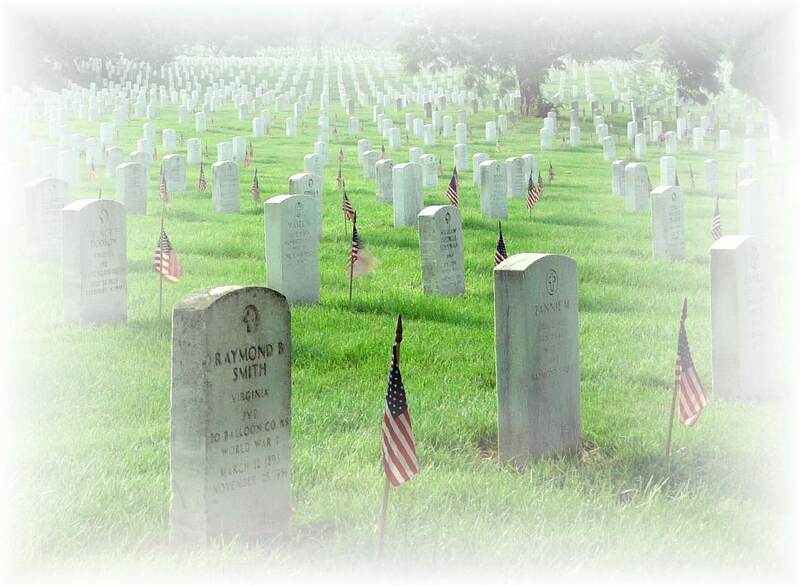 Yet we are indebted to these individuals, and millions more like them, buried on battlefields all around the world. We are indebted in a way that is wholly unique. This is not just about that they died. It’s what they died for, and whom. It’s been a long time since most of them were among us. Yet even in the relative safety of the time that is passed between their life and death, and now , you can still feel it…. Our debt to these people. I’ve said this many times before, in these spaces, and the import of it does not diminish in the telling; These people’s lives, and their sacrifices, should still count for something to us. Every single one of them that died at Normandy at Pearl, at Gettysburg, and any one of the thousands of places where are people in uniform have fought and died, and are buried, every one of those individuals should hold special meaning for us . It’s easier to do, perhaps when you consider that they had their lives just as we have ours. These people loved, they laughed, they cried. They had a favorite food, a favorite color, a particular bit of music, or of poetry stirred their souls, like none other, just like we, ourselves. Every bit as much as you and I love our lives, they loved theirs. Their lives were as precious to them, as yours is to you. Their loss was as keenly felt by their loved ones as yours would yours. And yet, they gave their lives up, for something bigger. I’m willing to bet that you have friends and loved ones that you would be willing to sacrifice for. Well, now think; How much more noble is a sacrifice of oneâ€™s life for people that one will never meet? Well, the people we honor today, those in uniform particularly, but some who were not, gave of themselves for the benefit of people they would never knowâ€¦. you and I, and countless others from many nations. If not for their sacrifices, youâ€™d have very different lives, indeed. Lives not nearly as good. Look upon those actions, those sacrifices, and know what youâ€™re seeing is strength, courage, and nobility in measures that should notâ€¦ can not, be ignored. Such sacrifice must be honored by us all; it was made, after all for our benefit. i think AMERICA is great because look at all these other countries that make you stop at the border and ask you where your from and show an ID card. They won’t let you in unless it’s daytime.Here you can crossover 24/7. You can bring any kind of gun you want and as many as you can stuff in a backpack.you can bring drugs in to pick up a little extra cash for.hey besides pretty soon Mexico,the USA & Canada are gonna be one big giant country. Wow! Just think of the fits that will give those Euro guys.Plus you get welfare. Great huh! You get to have your girlfriend have to not pay for a baby or abortion.Who could have a better Prez. than Obama who prints so much money eveybody gets some.Pretty soon everybody gets free medicine and doctors and hospitals.You don’t even have to prove you were born here.Wow!What a country!